Thirty years ago Prague was a closed book to most Westerners. Today it is Europe’s ﬁfth most-visited city, surpassed only by London, Paris, Istanbul and Rome. With a stunning natural location on the Vltava river and a spectacular potpourri of Romanesque rotundas, Gothic towers, Renaissance palaces, Baroque churches, Art Nouveau cafés, Cubist apartment buildings, Modernist villas and postmodern architectural showpieces, Prague may well be Europe’s most beautiful capital city. Behind the beauty lies a turbulent and often violent history. Located at the uneasy centre of the continent, Prague has been a crossroads of cultures for more than a millennium. 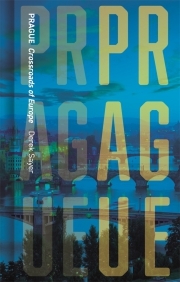 From the religious wars of the middle ages and the nationalist struggles of the nineteenth century to the modern conﬂicts of fascism, communism and democracy, Prague’s past is a saga of the forces that have shaped Europe. 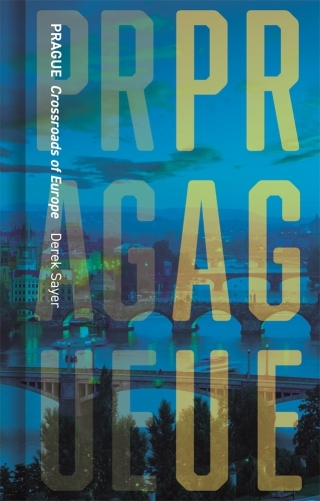 Derek Sayer provides an expert and very readable guide to the complexities of this colourful history, while reﬂecting upon sides of the present-day city tourists seldom see – from a model interwar Modernist villa colony to Europe’s biggest Vietnamese market – and presenting listings of what to see, hear and do and where to eat, drink and shop. Derek Sayer is Professor Emeritus at the University of Alberta, Canada. His many previous books include The Coasts of Bohemia: A Czech History (1998), Prague, Capital of the Twentieth Century: A Surrealist History (2013) and Making Trouble: Surrealism and the Social Sciences (2017). He lives in Calgary, Alberta.